Open Repositories 2012 will be taking place at the George Square campus of Edinburgh University. Main Conference Events and Workshops will take place in Appleton Tower (AT), a modern building offering lecture theatre, seminar room and teaching spaces. The building also accommodates the Digital Curation Centre and a number of start ups that are part of the University of Edinburgh incubator scheme. During the Edinburgh Festival Fringe the main area we will be occupying on the ground floor of the building is used as the performer and companies centre. Appleton Tower is at 11 Crichton St. You can view a plan of the concourse and ground floor lecture theatres here [PDF]. Keynotes will take place in George Square Lecture Theatre (GST), a recently refurbished theatre with a large stage and state-of-the art audio-visual equipment. 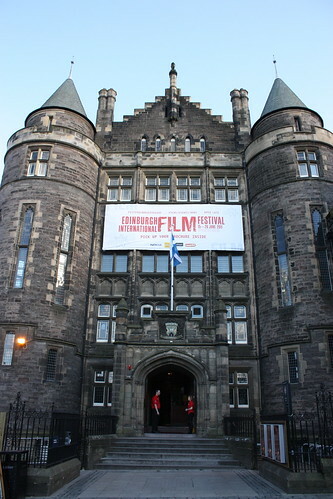 It is used for University of Edinburgh lectures and conferences throughout the year and for theatrical productions during the Edinburgh Festival Fringe. George Square Lecture Theatre is at 30 George Square. Lunches will be served in Teviot Row House (Teviot) which is the oldest purpose built Student Union Building in the world, having been opened in 1889. 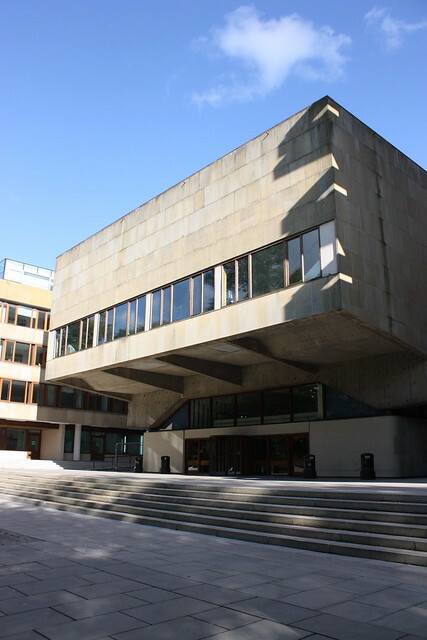 The building, which has recently been refurbished, operates during term time as one of the University of Edinburgh Student Unions and includes bars, a canteen, a coffee shop, a debating chamber, a dining room, and meeting rooms. During the Edinburgh Festival Fringe in August Teviot is home to the Gilded Ballon, one of the biggest comedy and theatre venues in the city. Teviot Row House is at 13 Bristo Square. 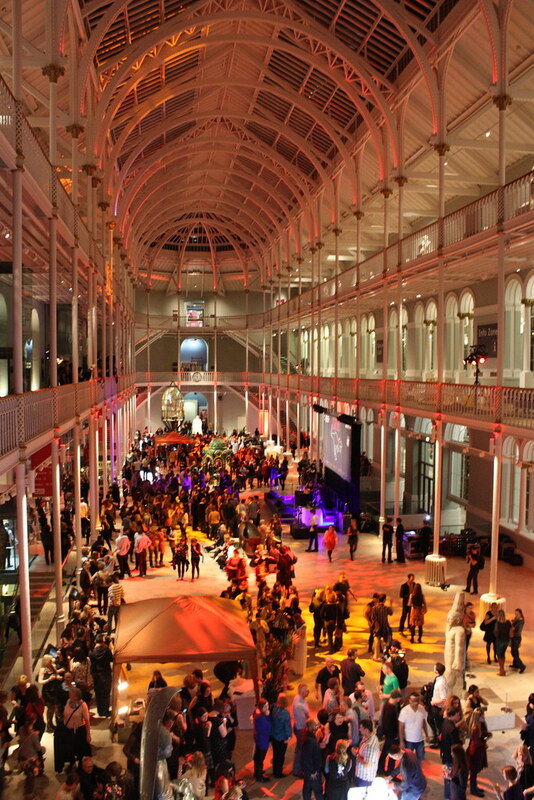 Evening Events will be taking place in exceptional venues in central Edinburgh. The drinks reception on Tuesday 10th July will take place at the historic Playfair Library whilst our conference dinner on Wednesday 11th July will take place at the history National Museum of Scotland in their beautiful Victorian gallery space. Guest tickets for both events are available through the conference registration system. The Playfair Library is part of Old College on South Bridge, right near postal code EH8 9YL. The National Museum of Scotland is on Chambers St.
Wifi will be available in all key venues via Eduroam or using a login and password that you will be provided with on arrival. To use the wifi you will need to agree to the University of Edinburgh Computing Regulations. A limited number of computer terminals with Internet access are also available on the mezzanine level of Appleton Tower. A Visitor Account, obtainable from the Registration Desk, is necessary for access to these terminals. It is hoped that these will also have printer access. You can also view the Open Repositories 2012 locations in a larger map.